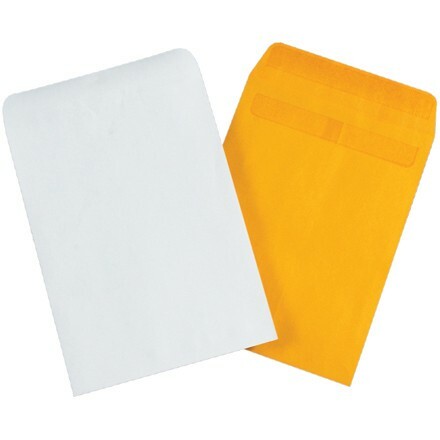 7 1/2" x 10 1/2" Kraft Redi-Seal Envelopes. Redi-Seal Envelopes save time on mail preparation. No moisture needed to seal!Simply fold down the flap, press and envelope is ready to mail. Constructed from durable 28 lb. paper stock.